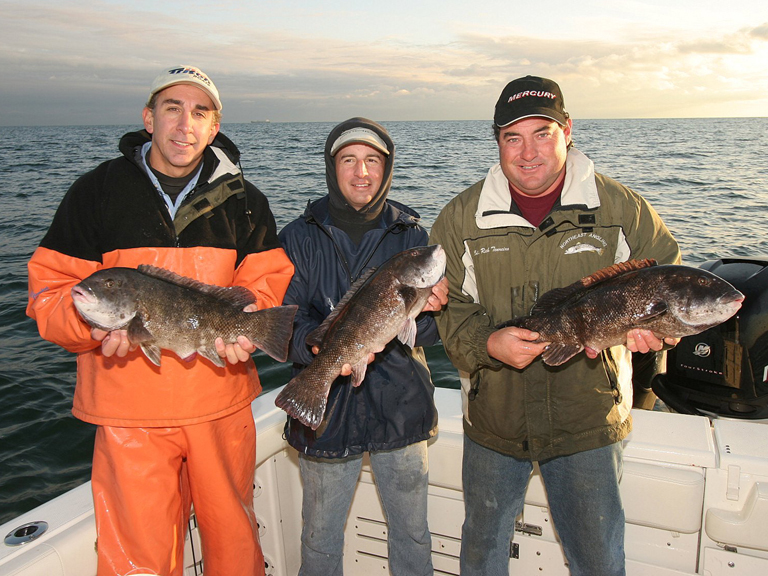 Captains Andy and Rich head up to Newport, RI to get in on a red hot blackfish (tautog) bite with Captain Mike Neto of the Adrianna Fishing Charters. For this trip they left their heavy blackfish gear home and went light for an old fashioned “head to head” charter captain showdown. The bite was non-stop and they caught way too many big blackfish (tautog) to count. Some of the fish were over 10lbs! Recreational angler pressure on blackfish (tautog) is surprising light north of Connecticut and south of New Jersey. There are no clear reasons for this. These fish fight hard and make great table fare. 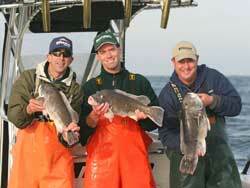 Click here for our Deep Water Blackfish gear recommendations.